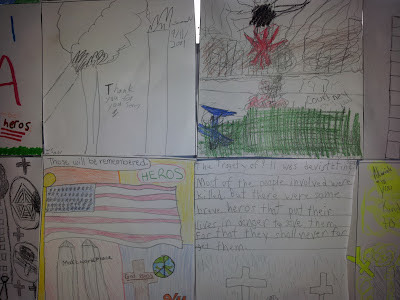 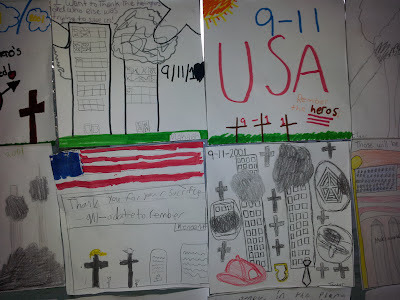 Today we reflected on a recent significant event of our United States history by creating quilt squares to remember the victims and heroes of 9/11. 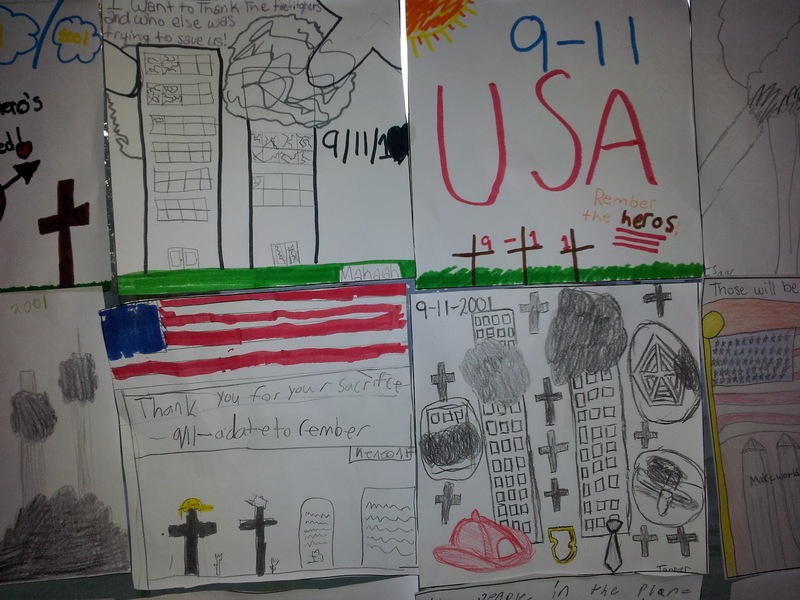 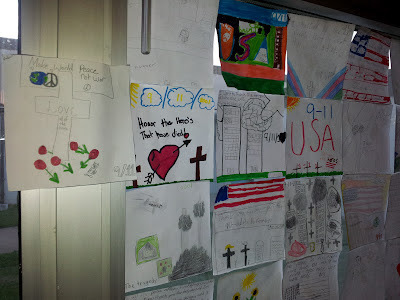 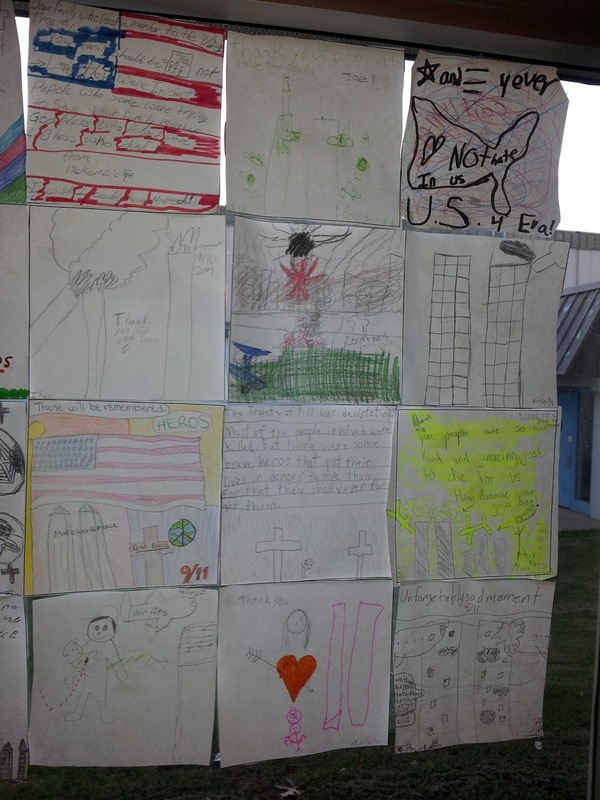 We first watched a Brainpop video to help us learn and/or review the tragic events that occurred 11 years ago today, and then we used this quilt template to help us honor those who lost their lives as a result of one of the worst tragedies in our American history. 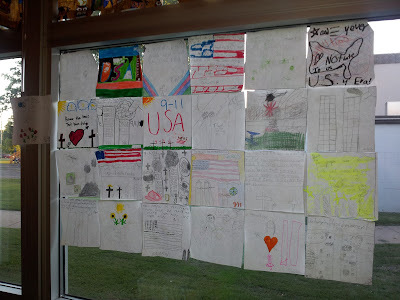 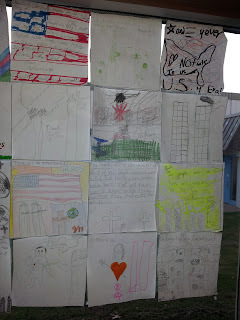 As we finished, many of us shared our quilt square with the entire class, and then we arranged them on our window as one united quilt of Room 121 in memory of those special victims and heroes of 9/11. 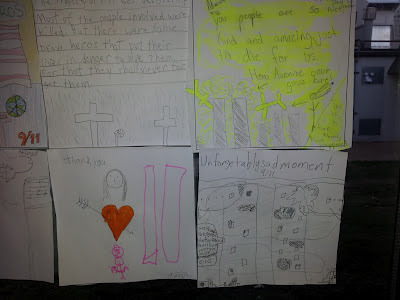 the inspiration for this idea, which she blogged about on her blog here! 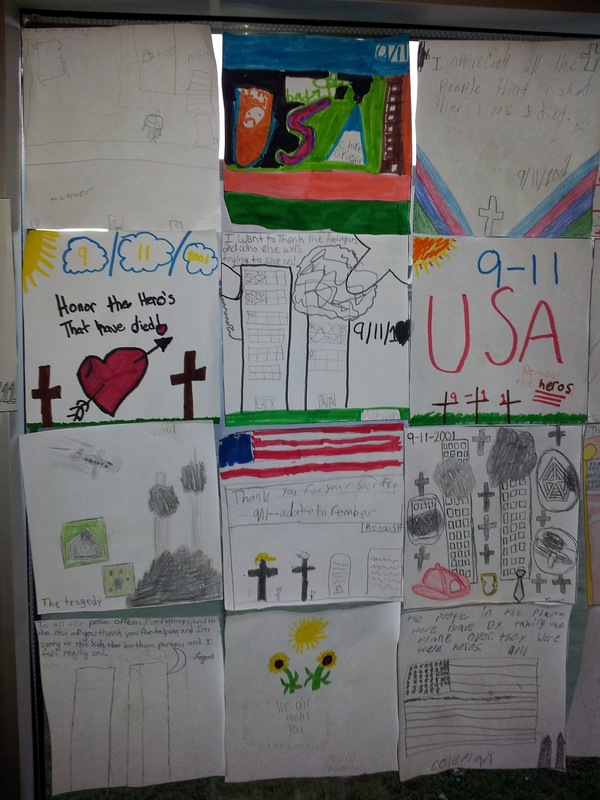 I really enjoy these pictures of your quilt. I was 14 when the September 11th attacks happened. 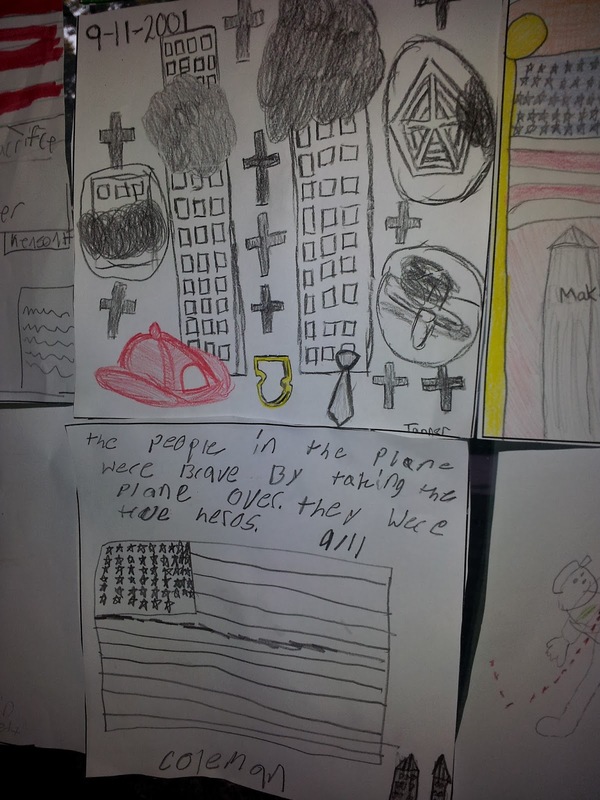 I'm sure that I will remember watching the events unfold as I was getting ready for school that day for the rest of my life.